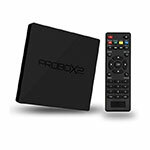 After announcing here on MiniPCDB over 20 different Amlogic S905 devices and reviewing several of them you'd think that another one won't impress me in any way, but the Probox2 Z Mini PC did - it's a minimalistic but good looking device. 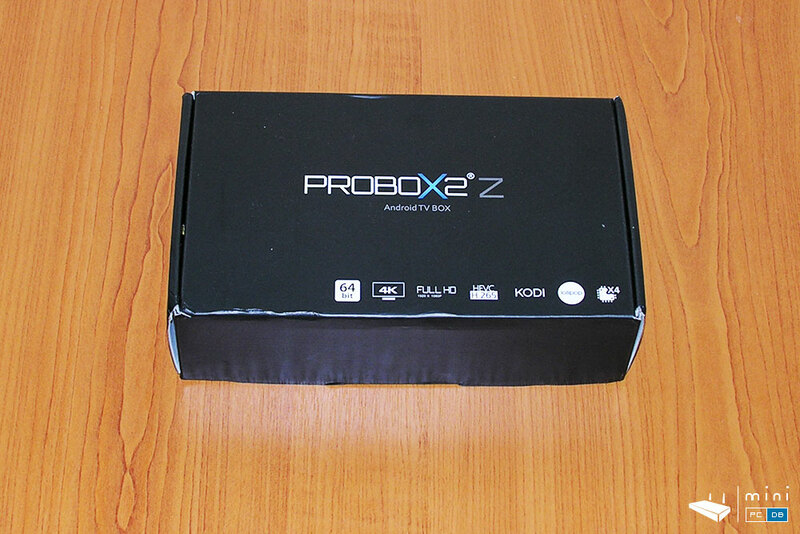 Probox2 Z comes in a pretty standard box, customized with the Probox2 logo and with the product name and full specs. 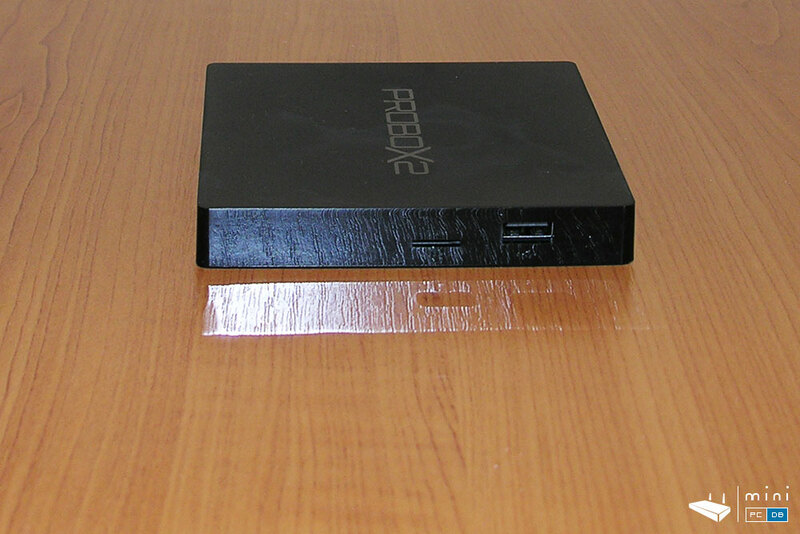 The box itself is revealing everything there is to know about the device, including clues about the device size. 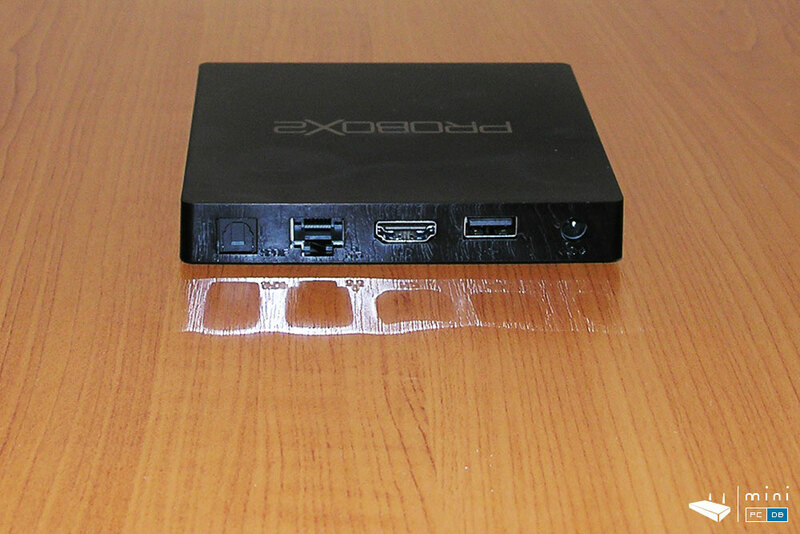 The top has the classic icons that reveal the main features of the SoC and device (4K, 64-bit, quad core, Kodi, Lollipop, etc), while the bottom has the full specs in greatd detail. As usual with the retail boxes there's an EAN code and serial number, both scannable. 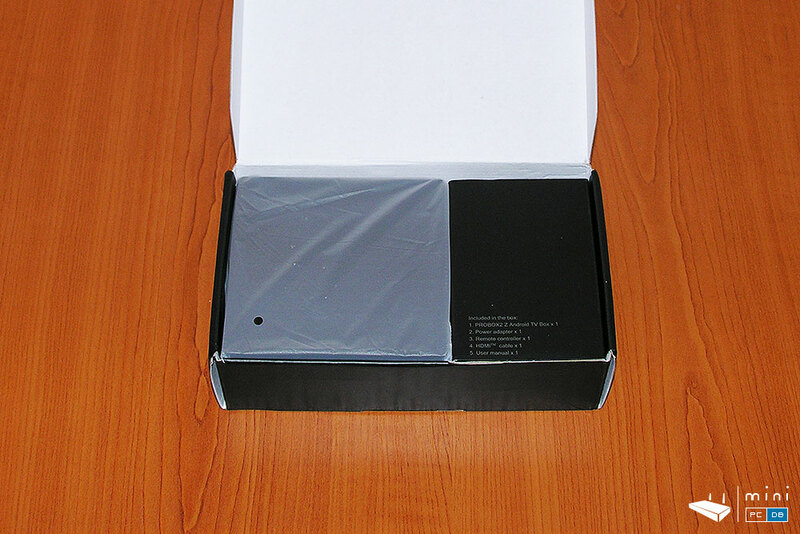 The box has a special container for the device above the accessories. 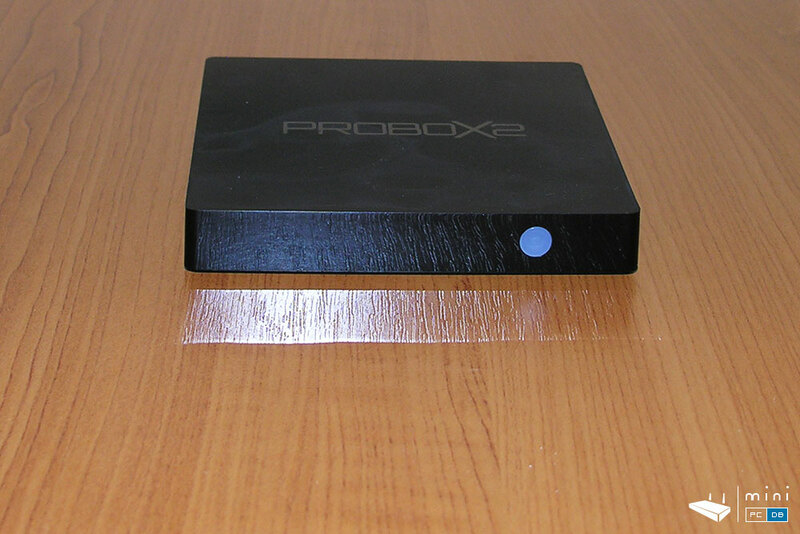 Probox2 Z comes with a pretty standard IR remote, which, believe it or not, is actually taller than the device itself. The remote does have a mouse mode, which means you could move the cursor using the arrow keys - if you're that patient. 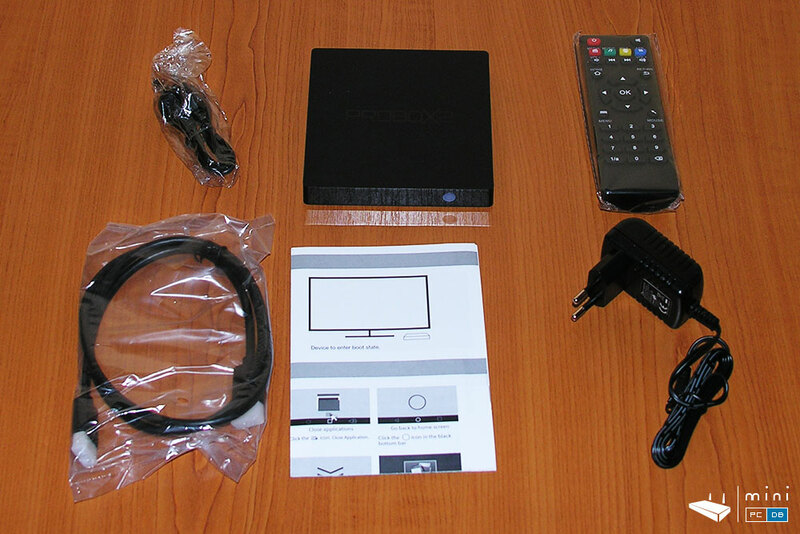 There's also an HDMI cable, a power adapter and an "User manual", which is a more of an "quick setup guide" teaching you how to connect the device to your TV and to the internet. 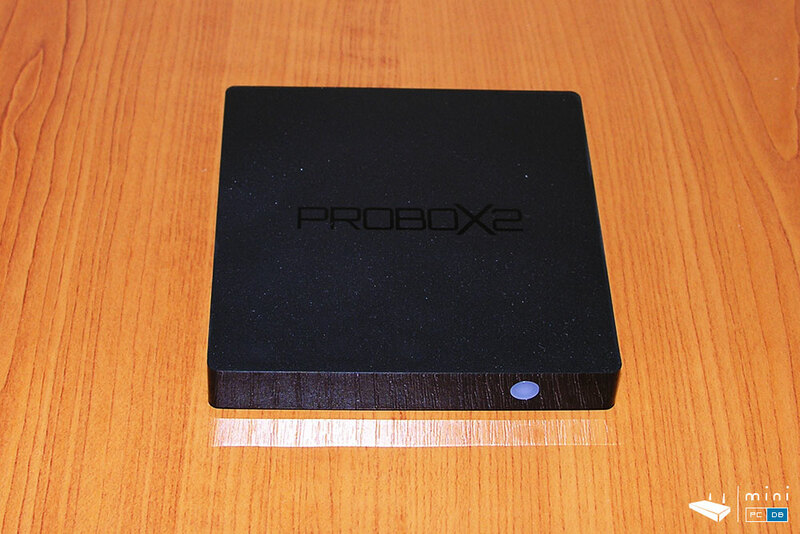 The device is made out of a soft touch plastic, with an embossed Probox2 logo on top. The front has just the IR sensor and there are no ports on the left side. On the right side there's the SD card slot and one USB 2.0 port, which is a convenient place to attach an HDD or USB stick. Most ports are on the back : the SPDIF and HDMI ports, Ethernet and another USB 2.0 port which could be used to attach something you don't want to change very often, like the USB adapter for the airmouse. So the device looks pretty good, but does the software match the expectations? We should uncover that in a full review in a few days.